If you can pull yourself away from all the delights our hotel has to offer, our local Navigator can guide you on what to see and do in Dubai. 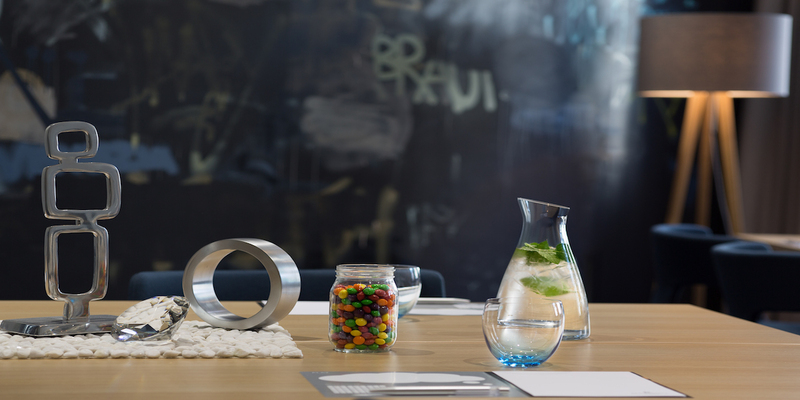 Unique dining experiences, contemporary meeting facilities, chic interiors, and a glamorous location. Renaissance’s latest hotel in downtown Dubai has something for every type of traveller. Situated just a stone’s throw from the iconic Burj Khalifa, we offer the best view in town of this city’s captivating skyline. But there’s so much more to do here than admire the scenery. With not one but two celebrity chefs in house and the luxurious Six Senses Spa Dubai, you might find it hard to leave us. But when you do, you’ll find the very best location for both business and shopping in the whole of Dubai. And if you are ever stuck for where to go, we’ll have a friendly Navigator on hand to give you the lowdown on what to do and see from a local point of view. I love to grab my favorite drink at Karak House for some traditional Karak Tea! Two Indians missed their childhood street-food too much and so they opened their own foodies paradise! Bhukkad is the meaning for gourmand or, not really a person who always has appetite, but rather a person who is always hungry! The place was opened by two Indian friends and who missed their home street food so much that they decided to become entrepreneurs. 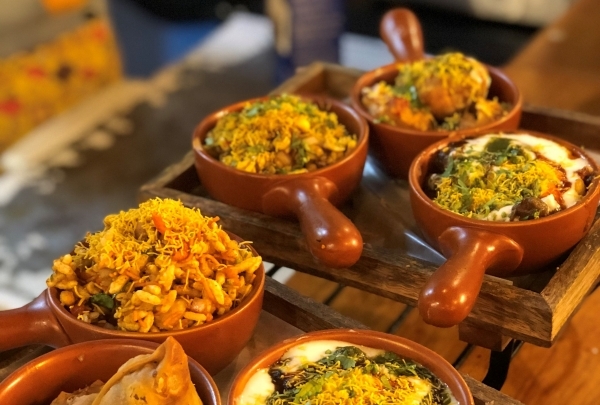 The food here is elevated: North-Indian with a touch of the cuisines that the two friends have experienced along their travels. 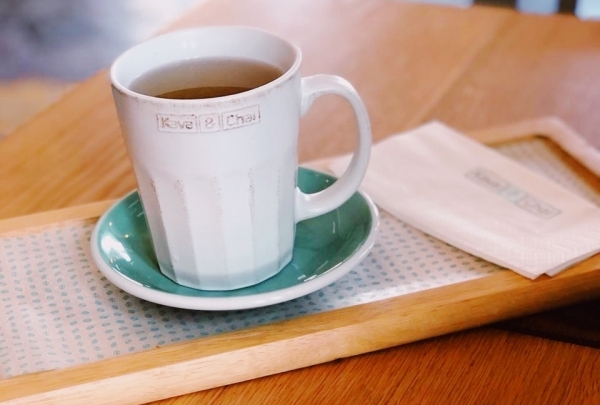 The little cozy chai place was born out of a common passion for tea! 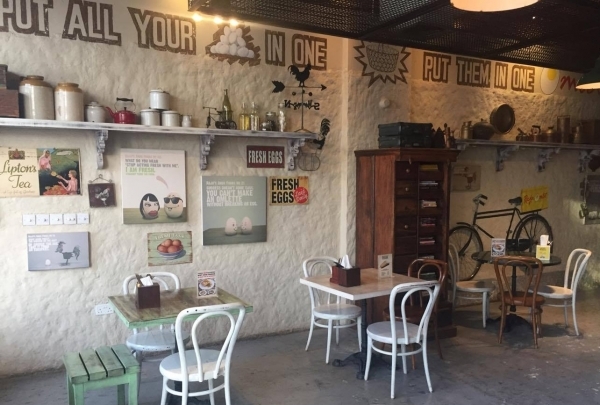 Located in Alserkal Avenue, the creative hub of Dubai, Project Chaiwala is a hidden gem for chai lovers. 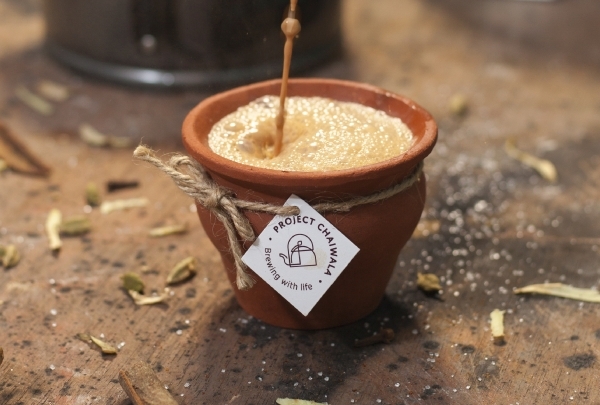 The street style of serving chai was brought by the two founders to the vibrant and modern city, Dubai. The foundation of this little place is the love for chai and the passion for running a sustainable business which can give back to the neighborhood. Tucked in Alserkal Avenue, this little independent movie hub brings you the most creative and unusual projections. 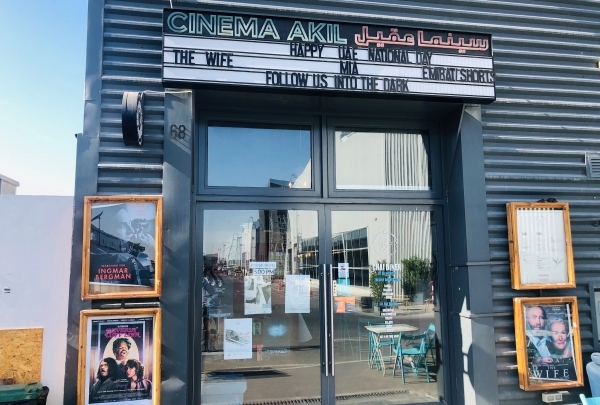 First of its kind in the GCC, cinema Akil is a proud supporter of the alternative cinematography and delivers only unique projections from each genre, sourced from every corner of the world. Be amazed by a wide selection of local produce such as fresh seafood, meat, spices, fruits, and vegetables. 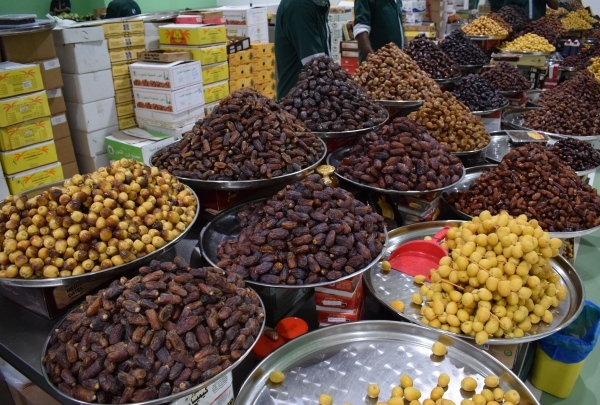 Originally based in Deira, this waterfront market opened its doors to a new, state-of-the-art, multipurpose facility where you will be able to find fresh fish, meat and poultry, spices, honey and the best locally sourced dates around. See an impressive collection of classic records at Dubai's first independent vinyl store. 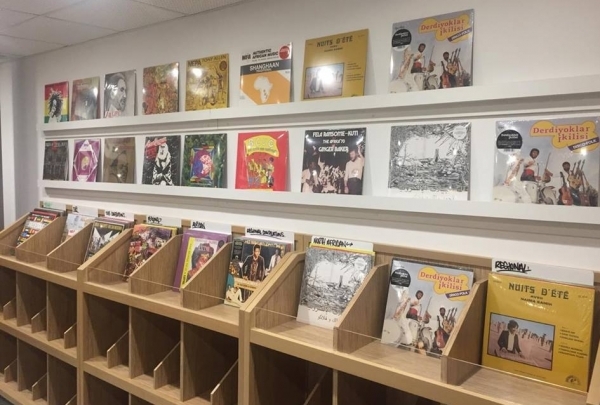 Welcome to Dubai's first independent vinyl store. If you are a collector of classic vinyl records or simply enjoy the sound, this is the ideal place for you. At Flipside DXB, you will be able to find century-old vinyls, as well as new editions from modern artists. Apart from buying your favorite record, you can also enjoy listening to one on a classic record player while perusing store! 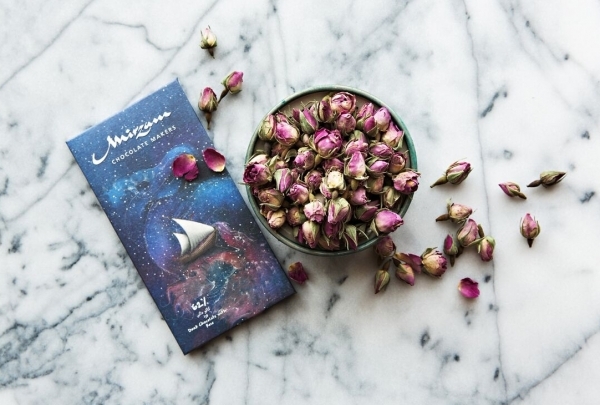 Release your inner artist at this creativity hub. It is a color paradise! The JamJar is described by the team as a community art space, where people can release their stress while creating paintings. Born out of the desire to bring people together, as well as uniting art and education, the studio welcomes everyone at anytime, no matter the age. Shall you want to expand your art knowledge, take part in their workshops. One of the most loved shawarma spots in Dubai with over 33 years of experience in wraps! Al Mallah has been around since the beginning of the shawarma epoque in Dubai. The over 30 years old operation, Al Mallah promises authentic Lebanese cuisine at very affordable prices. It is a hidden gem, frequently visited by locals due to the consistent quality of the food and the diverse menu. Vibrant colors and fresh Manakish. This neighborhood gem is a modern place with traditional food. When you say fresh, you say K'NOON. 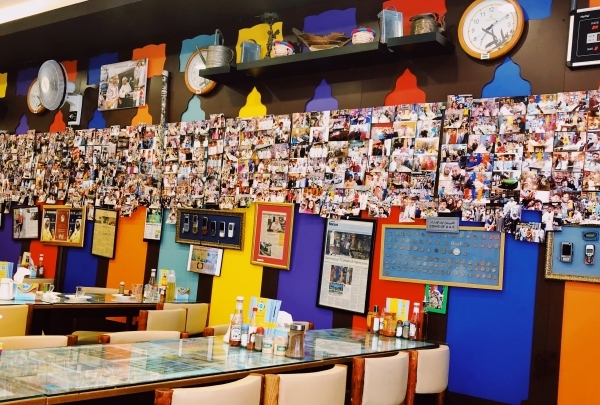 Not only their freshly baked, mouthwatering Manakish and Kunafa, but also their vibrant interior is an attraction. This place is a true gem of Business Bay! K'NOON has a great outdoor seating area where you can enjoy a traditional shisha overlooking the beautiful Marasi Canal. Customized bicycles from recycled items and donations for children who love cycling. Cool, sustainable and charitable! 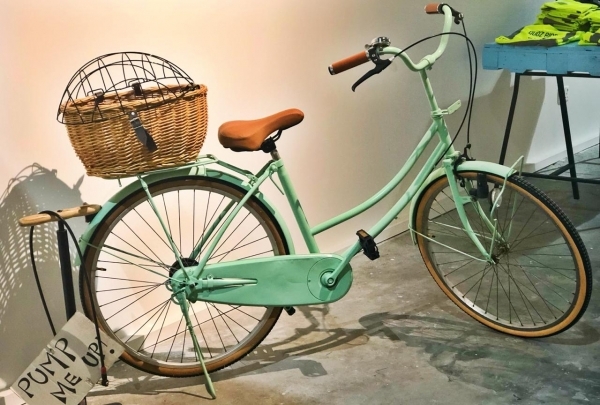 Vintage bike lovers, eco-friendly community and cycling enthusiasts, this is the shop you want to buy your next bike from in Dubai. Customize it the way you want, donate while purchasing or recycle your good ol' bike, the opportunities are limitless. 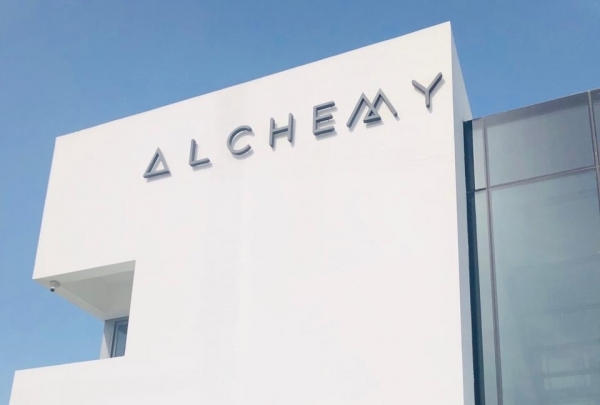 Alchemy situated in the heart of the city is a must-visit for coffee lovers. This coffee place offers a cozy setting where you can spend hours tasting a wide array of coffees from the menu. The coffee beans used here are procured from small farms as opposed to popular international brands. Each cup of coffee you drink here ensures that hardworking small scale coffee growers get paid for their efforts. Go, cycle up the mountains and fly among meteorites, thanks to their unique combination of technology and exercise. TRIP is like a time machine which fast-forwards you 30 years in the future. 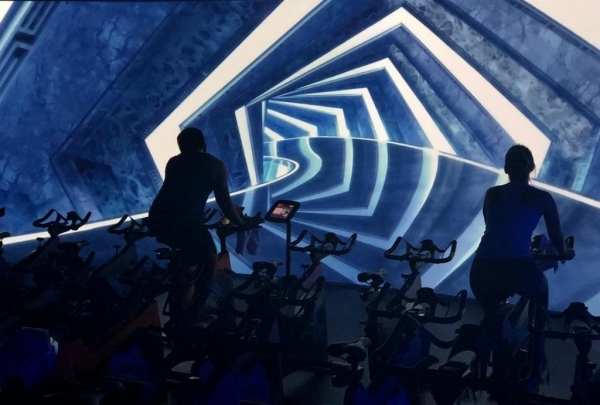 As you look at the huge projector screen right in front of you while hitting that exercise bike, you will be lost in the immersive experience and lose tons of calories without even realizing. The instructor is there to push the participants to finish the cycling trip and to get the best out of their workout. 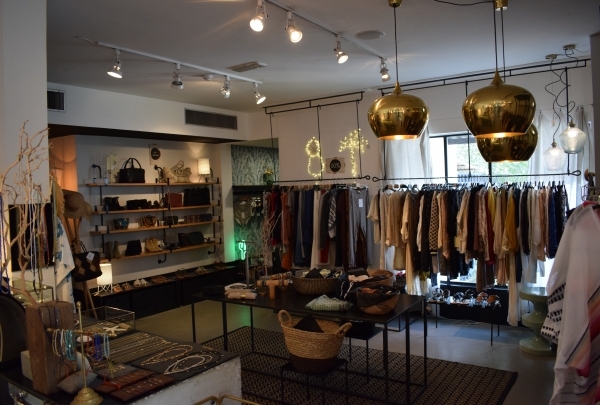 Discover a lifestyle boutique offering one-of-a-kind jewelry, clothing, and home décor designs and enjoy the vegan café. 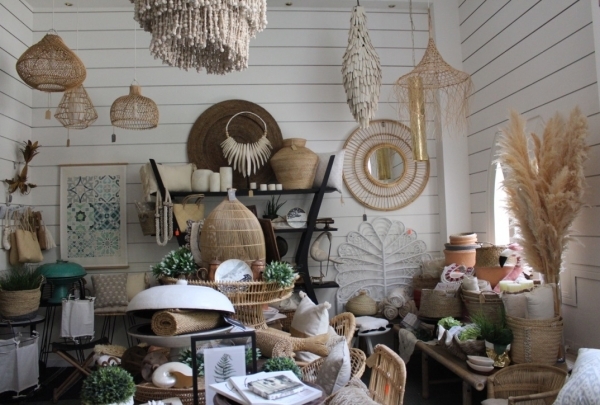 Originally founded by a Parisian woman with a taste for design, Comptoir 102 is the ideal boutique for sourcing unique pieces ranging from home décor to clothing and jewelry. Be sure to visit the shop's organic vegan café to try the “heaven on earth” dates and banana smoothie! 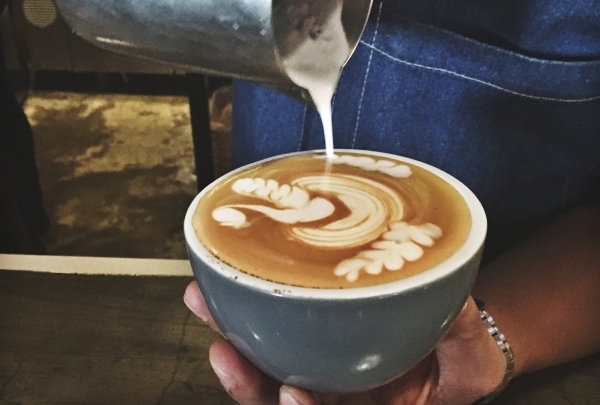 Enjoy this casual café with inventive baristas that take their foam art very seriously. This chic café offers a delicious food menu just like any other. However, what makes this place unique is the artistic approach its baristas take when serving coffee with creative foam art. 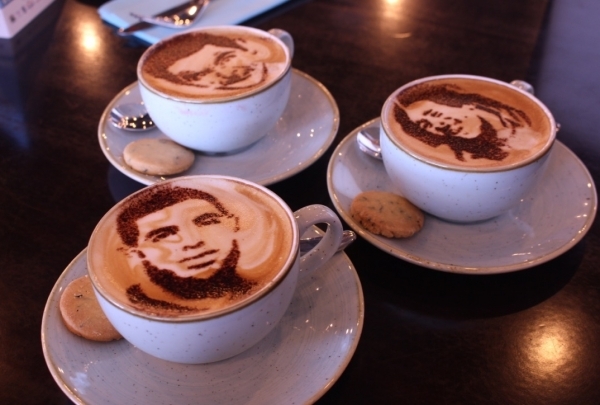 Imagine having your own face served to you on your coffee, or even sipping a cappuccino with the Mona Lisa on it. Now that’s coffee art. 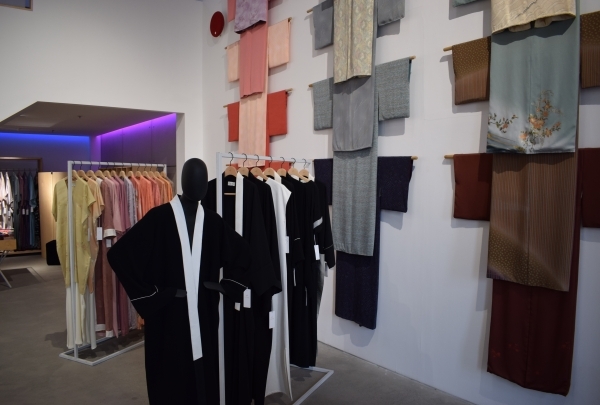 Enjoy an artistic boutique that offers a fusion of local abaya dresses and traditional kimono gowns. 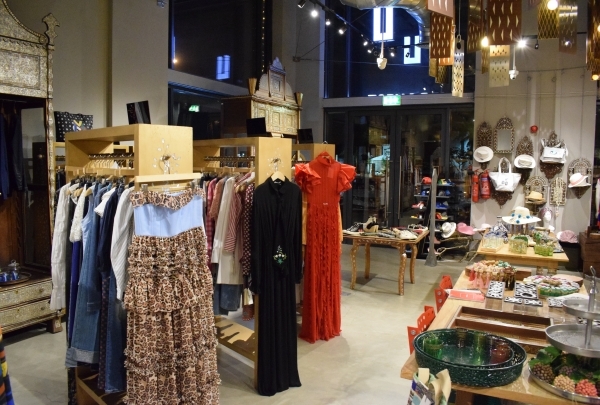 Tucked away in the industrial hipster setting of Al Serkal Avenue, Chi-ka is a chić and innovative clothing boutique that showcases a cross-cultural blend of designers, offering both traditional abayas and Japanese kimonos. 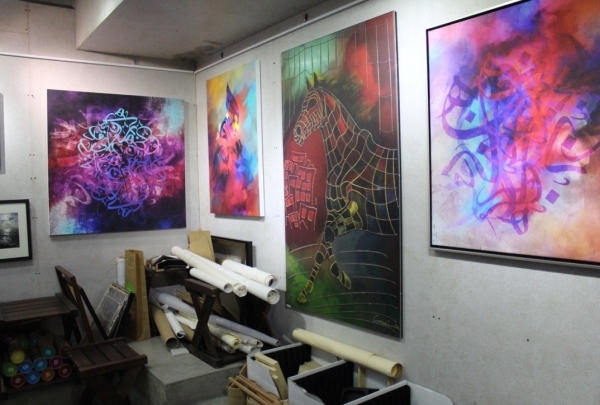 This artistic art space is also used to display other artworks, ranging from craft and design to robotics and multimedia. 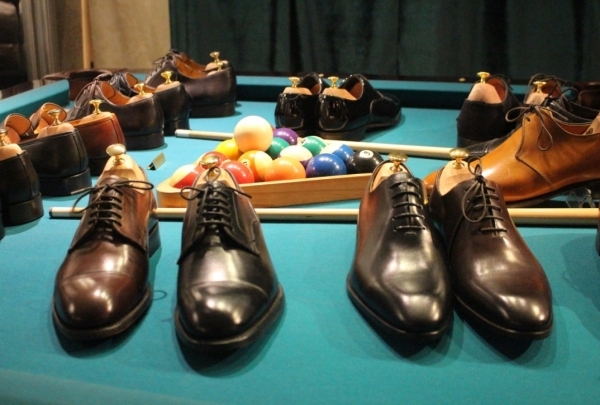 The Bespoke Tailoring experience is all about luxurious convenience. 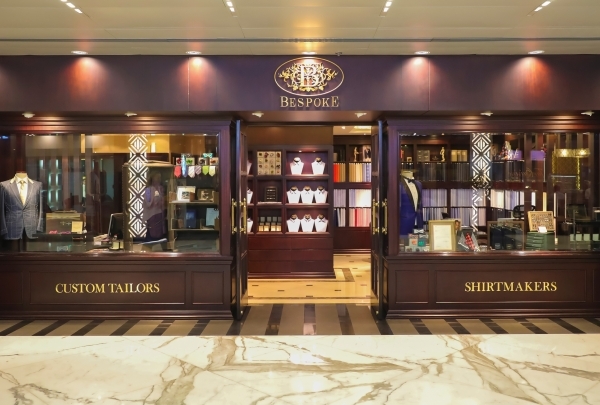 Located in the heart of the trendy DIFC, is a traditional tailoring business by the name of Bespoke. Established in 1956, this tailoring company has become a heritage that has been passed down from generations to generations of artisan tailors. Their specialty lies in their craft as they place immense emphasis on details and focus on artistic precision. 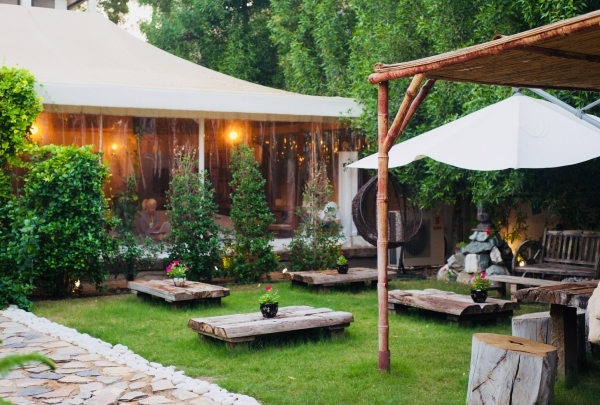 Enjoy mouthwatering Emirati cuisine with a hipster artsy twist. Art House Café is an authentic little restaurant owned by a local Emirati woman and situated in the peaceful urban district of Box Park. You can enjoy authentic all-day breakfast offerings while admiring the hipster décor of the café, not to mention city views of the Burj Khalifa. Raju Omelette takes great pride in its rustic decor, brought in from the bizarre Chor Bazaar of Mumbai. Raju Omelette is a quirky little restaurant with an extensive menu of signature omelette dishes. Its unique take on eggs includes a touch of Indian street food flair as its dishes are typically served with pavs or parathas. You'll also find chai teas imported straight from India, such as kadak, pudina, and elaichi. The restaurant caters to people of all nationalities. Visit this ecology museum with the largest indoor, man-made, and life-sustaining tree in the world, found only in Dubai. 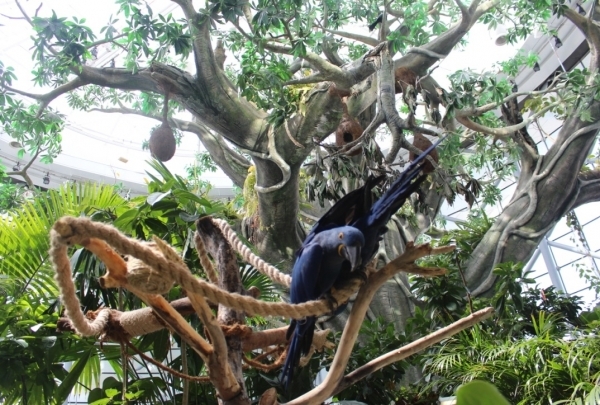 Green Planet is an ecology museum that houses a wide variety of endangered bird species, primarily from the Amazon. The birds are allowed to fly freely throughout the indoor greenhouse space and offer people the chance to have close encounters with the endangered wildlife, as well as learn more about the imperative role our rainforests play in our ecosystem. 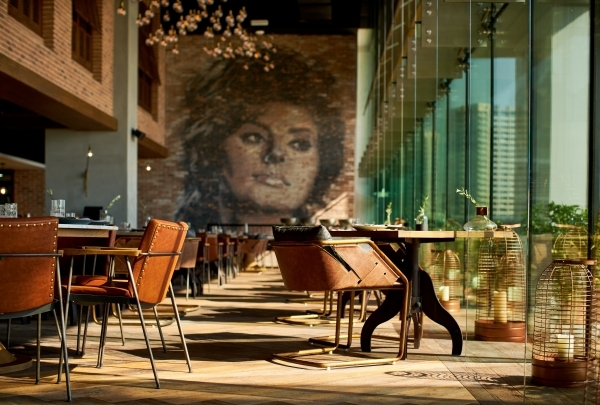 Embrace your nostalgic side while dining at Al Fanar, whose unique ambience embraces the Dubai of the '60s. 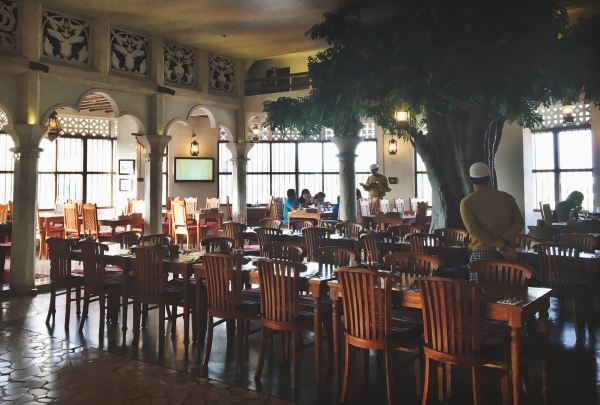 Al Fanar offers classic Emirati food and unique decor, which takes patrons back in time to Dubai in the 1960s. Come enjoy a great meal and a nice stroll down memory lane in view of the idyllic Al Badia Oasis. 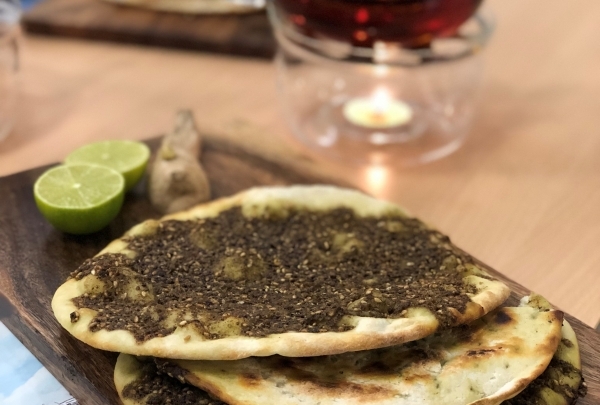 Get authentic Palestinian street food like the signature fatayer flatbreads served hot from a wood-fired oven. Mama'esh is a friendly neighborhood restaurant that offers a variety of traditional Palestinian delicacies. It specializes in homemade flatbreads, which are served hot straight out of the original wood-fired oven. 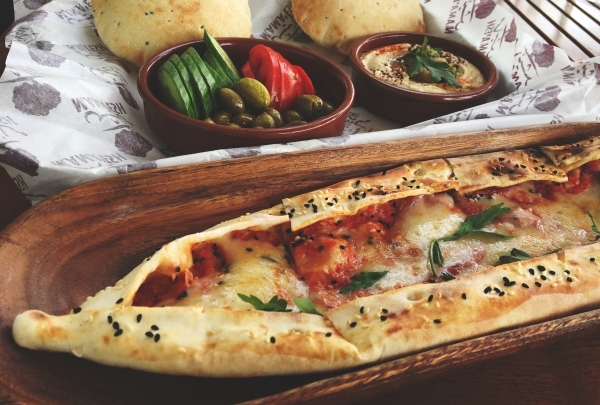 Be sure to try the signature dish, the zaatar & melted cheese fatayer, as well as the classic hummus! 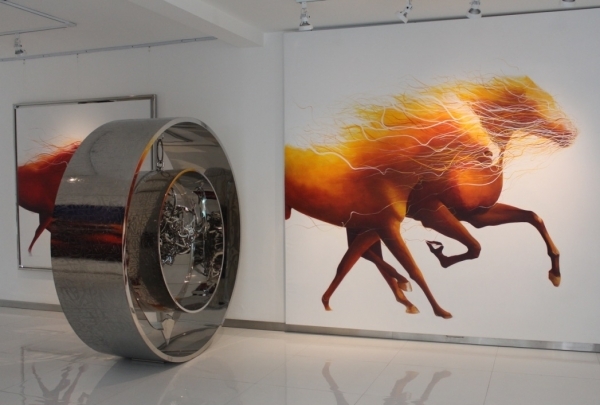 Visit a modern art gallery displaying unique sculptures and paintings by an Emirati artist based in the UAE. The Mattar Bin Lahej Gallery is considered the first of its kind in the UAE as it is a modern art space featuring the works of artist Mattar Bin Lahej. 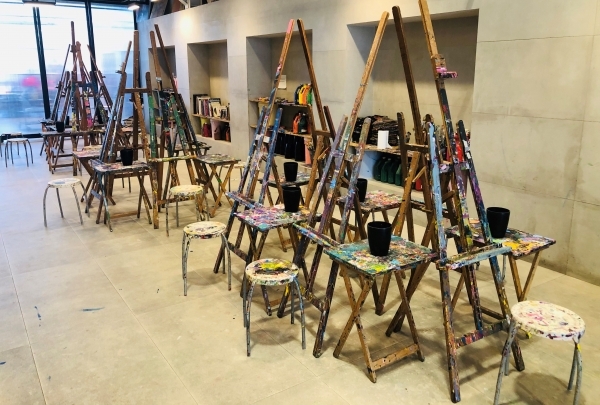 His artworks include sculptures, paintings, and other projects that showcase a deep connection to the artist’s Emirati heritage with a modern twist. Discover a very unique interpretation of Arabic culture in this gallery in the center of the city. Mozaiic Art Gallery represents Arabic calligraphy in its most beautiful form: through the art of resident Syrian artists who want to show the world how calligraphy makes for beautiful art. 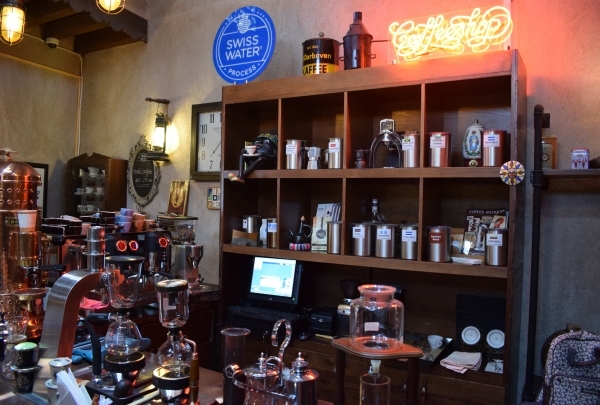 Located in a historic Emirati home, this coffee museum offers an aromatic foray into the world of coffee! Mr. Khalid Al Mulla, the original founder of the Dubai Coffee Museum, began this project because of his pure passion for all things coffee. 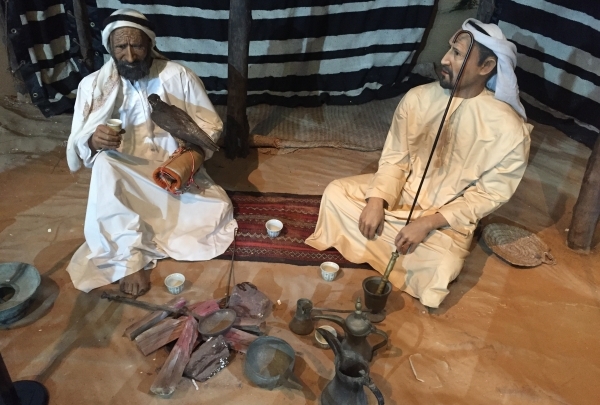 Come see a onetime Emirati home that has been converted into a museum for a better understanding of the origins of coffee, an impressive antique collection, and tastings in the must-visit café upstairs. Enjoy an intimate boutique cinema experience with classic films and cozy vintage decor. This boutique cinema is located in the hip urban setting of Boxpark. At Roxy Cinema, you will be able to enjoy a uniquely intimate cinema experience. From the cozy leather reclining seats to the 1920s-themed decor in the charming film-inspired restaurant, there is no better place to watch your favorite movie, current or classic. This is the ideal place for a movie night! Enjoy this hidden gem of a theatre dedicated to staging live improvisational performances in the heart of Al Quoz. Hidden up a staircase in the creative hub of Al Quoz, the Courtyard Playhouse is the first theatre in Dubai dedicated to bringing together raw talent through improvisational acting, stand-up comedy, and other live performances. Looking to laugh? Be sure to check out the upcoming events schedule for tickets to the hilarious free and exclusive comedy nights. Tour a showroom and memorable venue designed for all the car enthusiasts not born when their favorite cars were made. When people talk about their passions, others often make nostalgic connections to their own passions and the feeling of experiencing something for the first time. This is just the place such sentimental experiences for car enthusiasts who want to discover more about the Ford Model T, Jaguar E Type, and more in this incredible showroom. 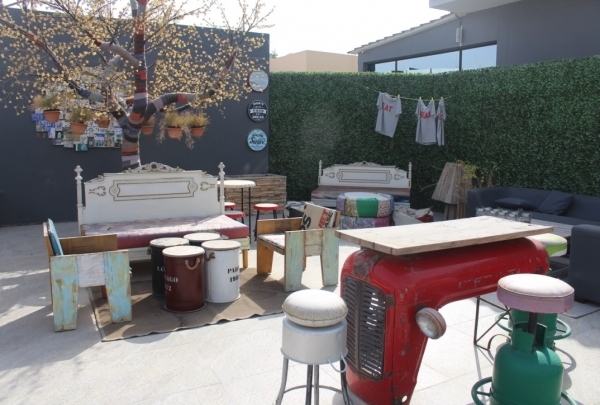 Check out this charming little yoga studio & healthy café located in downtown Business Bay. 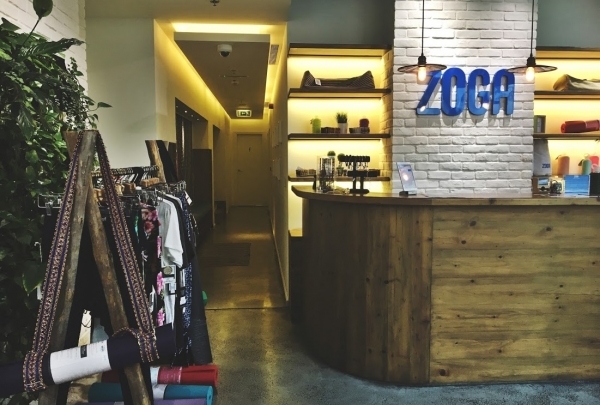 If you want a quick relaxation escape from the busy routine of everyday life, then come meditate at Zoga Yoga Cafe, where a variety of classes including Hatha flow, candlelight Vinyasa, hot yoga, and pilates classes await. Right after your class be sure to visit the healthy juice bar for a revitalizing cleansing juice! Delve into a cultural immersion program focusing on Islamic and Emirati customs and traditions, accompanied by a feast. 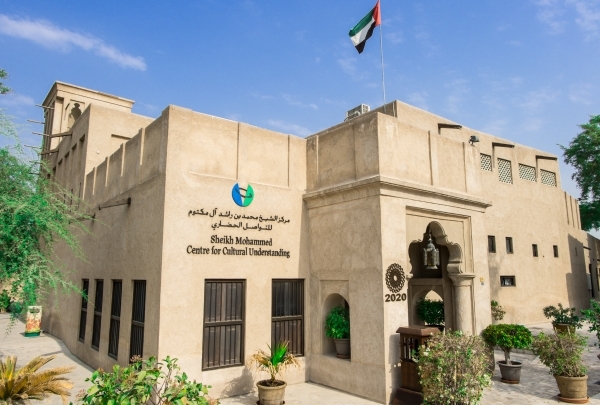 The inspiration behind the Sheikh Mohammed Center for Cultural Understanding is to provide a cultural immersion platform for those who want to learn more about Emirati and Muslim customs and traditions, as well as experience a traditional Emirati feast. 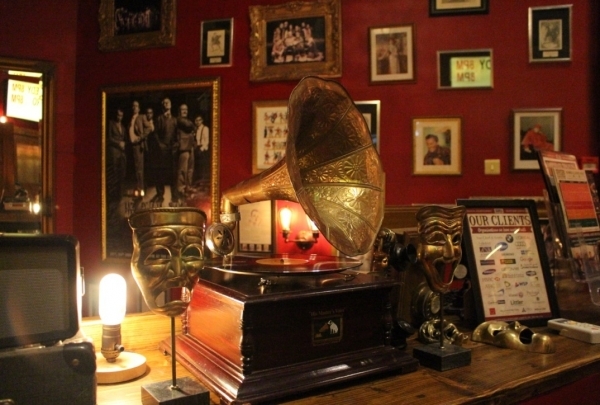 Located in the Al Fahidi Historic District, one of the oldest neighborhoods in Bur Dubai, this place is a must visit. Experience an indigenous wetland reserve known for attracting migratory birds and hosting a flamingo migration. 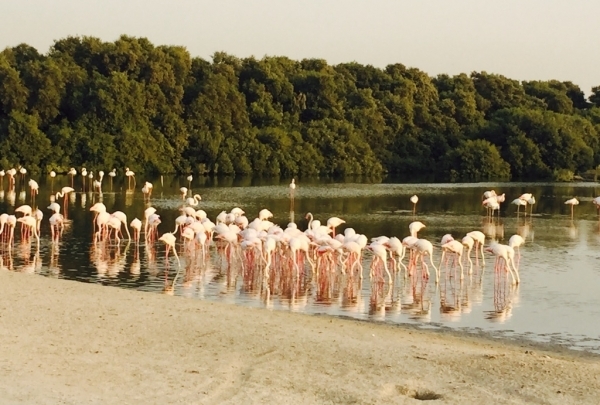 At Ras Al Khor Sanctuary, you'll discover various types of migratory birds, as well as over 500 flamingos whose annual migration to the region has become a symbol for Dubai's Wild Life protection program. This is the ideal place for passionate photographers who want to capture avian photography in the birds' natural habitat, which boasts the unique Dubai skyline as a backdrop. Come see a falcon center where you can learn about the majestic creature and its impact on Arabic culture. At the Falcon Heritage Center, you get the chance to learn about how falconry played a vital role in Arabic culture and desert life. Seize the opportunity to get up-close and personal with falcons, take in fun facts from the historical falcon museum, and visit the unconventional falcon souk. 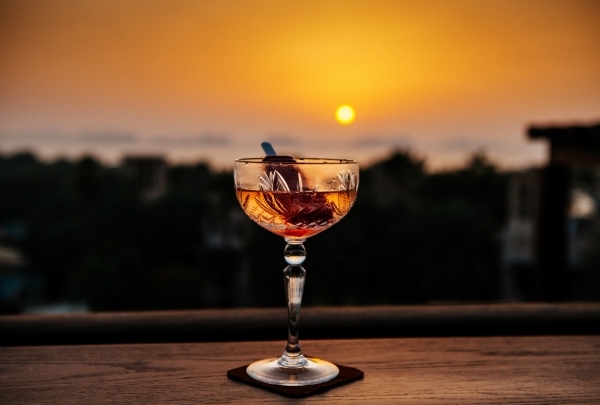 In view of the Souk Madinat in Jumeirah, Folly offers a delightful cocktail menu with a serious dose of craftsmanship. Chefs Nick and Scott share a history tracing back to days spent working together under Gordon Ramsay in London. 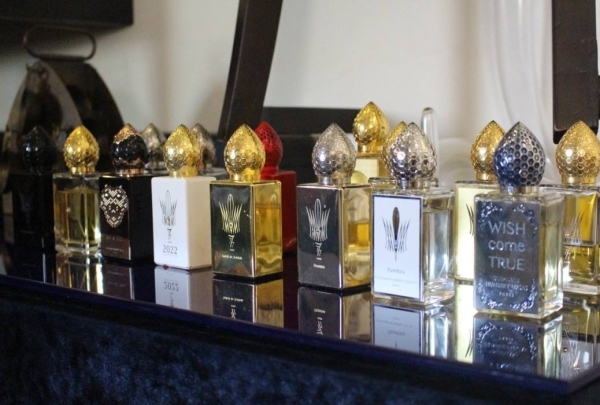 Deciding to start their own venture in Dubai, the two created Folly, which aims to provide an impeccable experience. 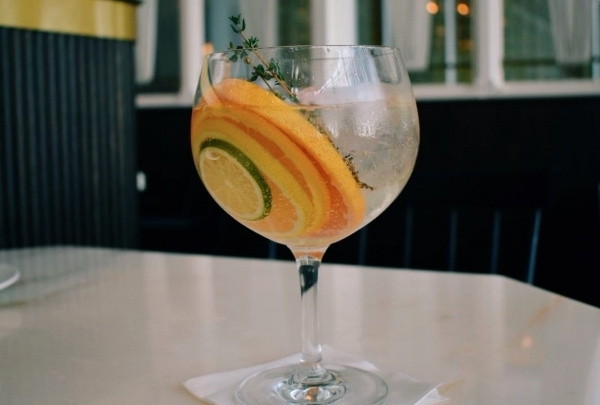 Between personally inspecting every plate that leaves the kitchen and hiring top-tier bartenders to craft the cocktails, Nick and Scott are onto something truly special. M.A.D. 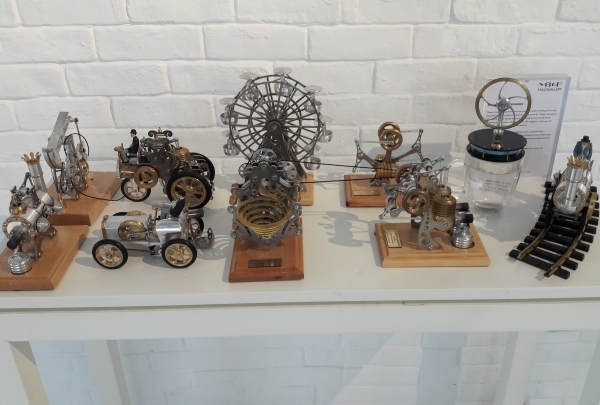 Gallery explores the world of moving art by showcasing clockwork machinery and mechanical art devices. A complete mechanical robot with a clock instead of a brain and a fully metallic great white shark are just two of the extraordinary sculptures showcased in this gallery's M.A.D exhibit, which can be seen only in Dubai. The best part is that some of these rare items are even for sale in this retro-futuristic, one-of-a-kind gallery. 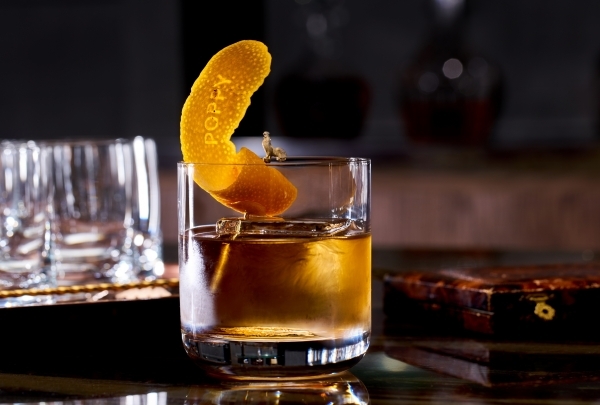 Poppy is a mixology bar offering timeless cocktails, perfectly paired with an eclectic vinyl playlist. Tucked away behind an ordinary door marked “Private”, Poppy invites guests into an intimate space of eclectic tunes and uniquely crafted cocktails, curated by bar guru Sam Ross. 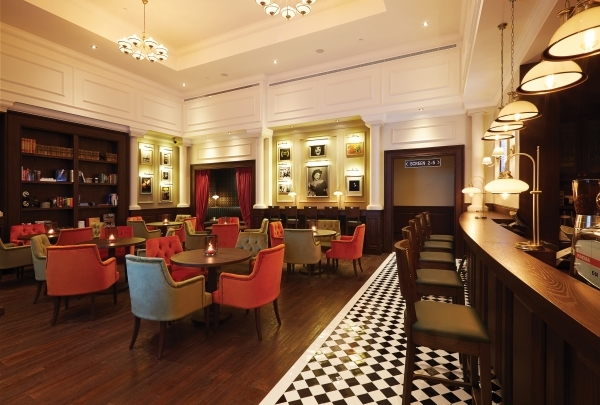 Open till late, Poppy is perfect for Dubai’s late night revelers and cocktail aficionados alike. Our signature Italian restaurant curated by Chef David Myers. Must-try items include burrata and bistecca Fiorentina! BASTA! isChef David Myer's unique take on a classic Italian restaurant. This space manages to merge popular regions of Italy under one roof. From steaks inspired by meats prepared in Florence to pizzas that are a culinary trip to Naples, the menu will have you leaving the restaurant saying BASTA! With a wide variety of options, their famous burrata will have you coming back every time. 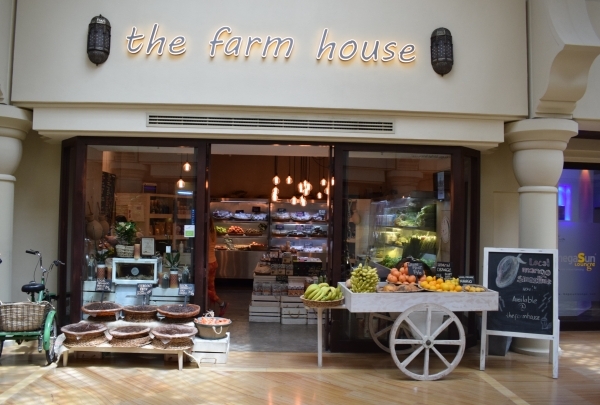 Chef David Myers' farmhouse getaway in the middle of Dubai’s Business Bay! Bleu Blanc introduces a unique take on Dubai's culinary scene by combining new flavors inspired by both South of France and Northern Spain’s Basque region. 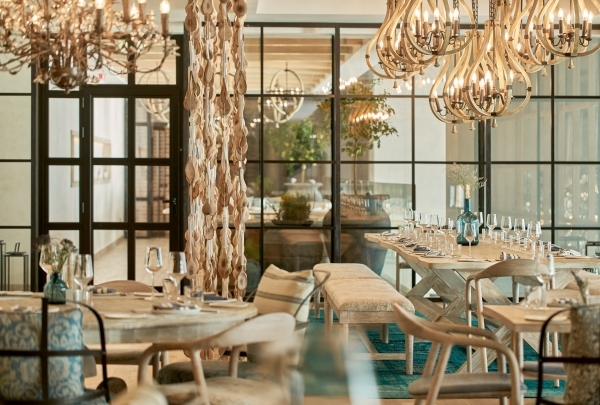 The warm French farmhouse feel makes Bleu Blanc a standout gem in the city. Their focal point is a signature wood-fired grill, the true heart and soul of the restaurant. World-renowned Chef Morimoto debuts his signature restaurant on our 23rd and 24th floor! 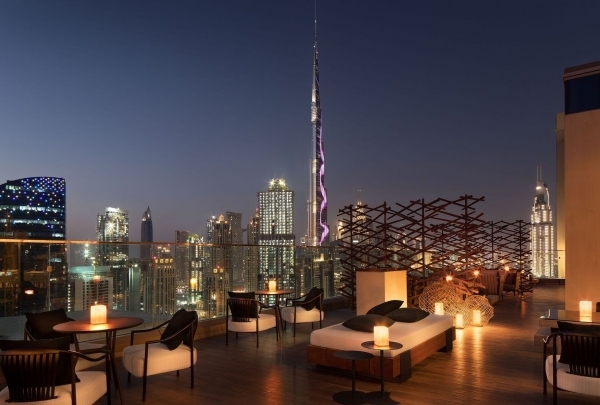 With spectacular vistas overlooking the magnificent Dubai skyline, this is more than just a dinner with a view. There are live Tepanyaki and a sushi counter, along with a modern cocktail lounge to complete your culinary journey through the world of Japenese cuisine. Are you a coffee lover at heart and can appreciate a quality shot of espresso in the morning? This is your new go-to! Seven Fortunes is a local coffee roastery tucked away in the hipster side of Al Quoz in an old converted warehouse. 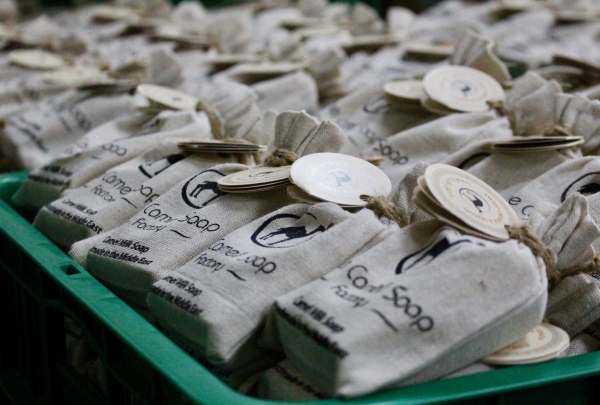 Their specialty can be found in their unique craftsmanship when it comes to producing the highest quality of roasted coffee. They offer a carefully curated selection of handpicked coffee beans sourced from all across the world, naturally resulting in an explosion of unique flavors! 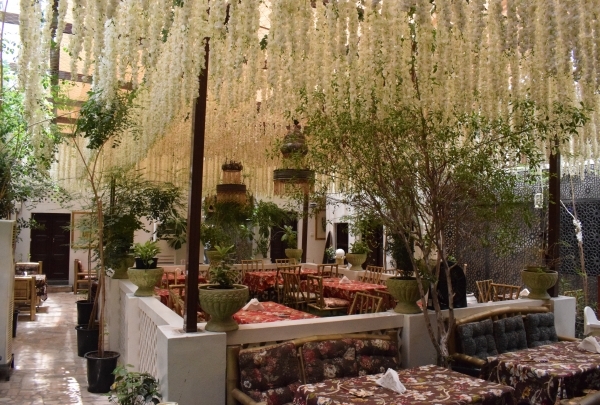 A traditional and homemade Emirati based restaurant located in the heart of Dubai's historic district! 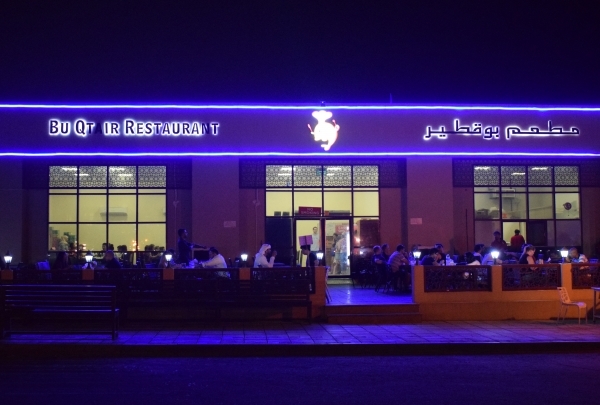 Looking for a truly authentic place to try Emirati cuisine? 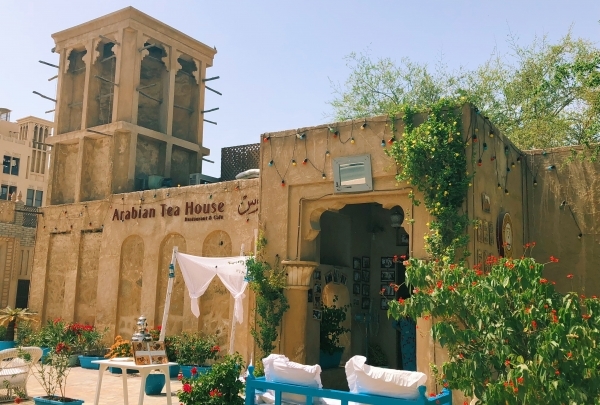 Why not explore the old historical district of Al Fahidi neighborhood and make a stop at the traditional Arabian Tea House. They offer real Emirati homemade dishes such as their signature flatbreads, fattoush salad, hummus and Luqaimat specialty for dessert. A hole in the wall, but a truly unique hidden gem to find the best local kebabs in Dubai! If you are into the thrill and adventure of trying authentic street food hotspots around town that are truly only known by locals, then this is the ideal place! Al Ustad is hidden away in the old town of Deira, and is renowned for their irresistible kebabs with secret homemade recipes in the sauces. Just enough so, that even the royal Al Maktoum family paid them a visit! When science and chefs come together the result is: Molecular Indian Street Food! 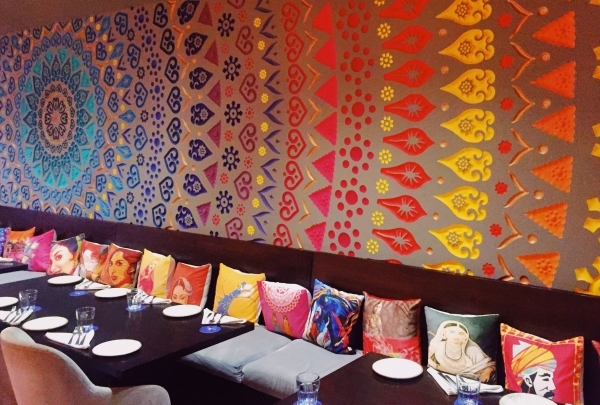 The colorful design of the restaurant is inspired by the games played by the owner during his childhood and his wife is the main decorator and artists. The concept itself if about Indian street food, but with a twist! Traditional dishes take a new shape, so expect the table to look like a laboratory and the food to taste like heaven. 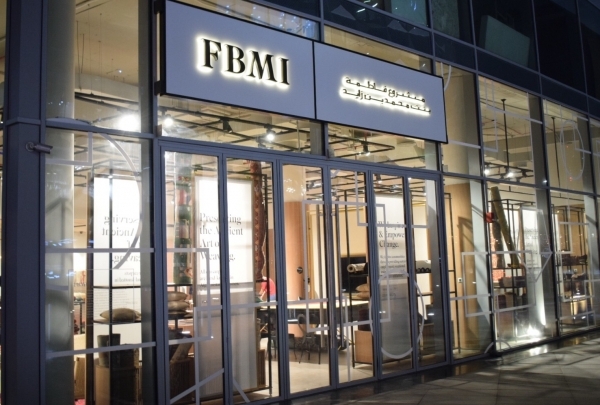 FBMI is more than a store, it is an initiative by Her Highness Fatima Bint Mohammed Bin Zayed, daughter of Abu Dhabi's Crown Prince. She aims to improve the quality of life of the Afghan people since the war crisis. The product is handmade from its early stages until the end product. Buying one carpet contributes to the education, health and well being and a better life of thousands. BB, Habibi and baby are all words which stand for love. BB Social Dining promises that you will BB their Garden Tonics! 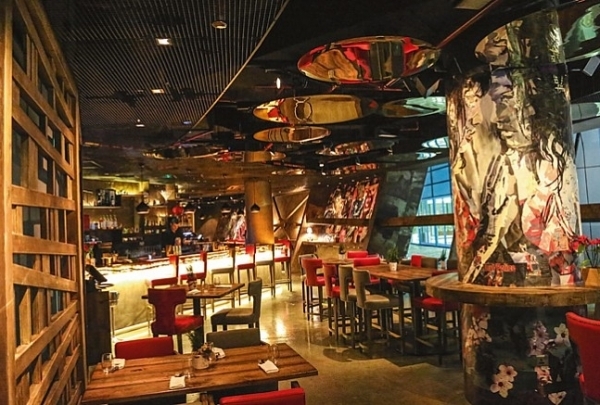 Social restaurant, BB Social Dining is the hidden gem of DIFC. Located on 3 floor, the design of the restaurant features signature statements, making each area of the venue unique. 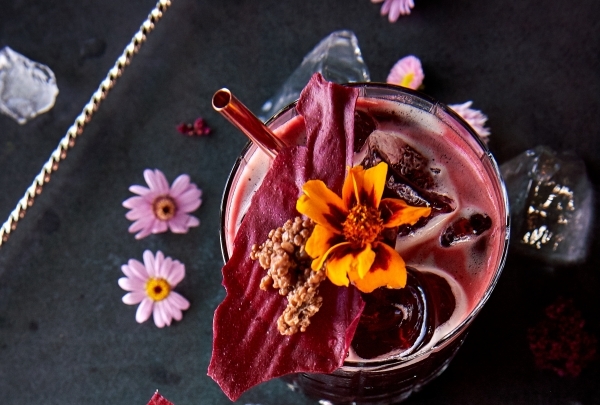 Though located in a concrete jungle, the place has an amazing garden where you can sip on your Garden Tonics as if you'd be in your friend's backyard. 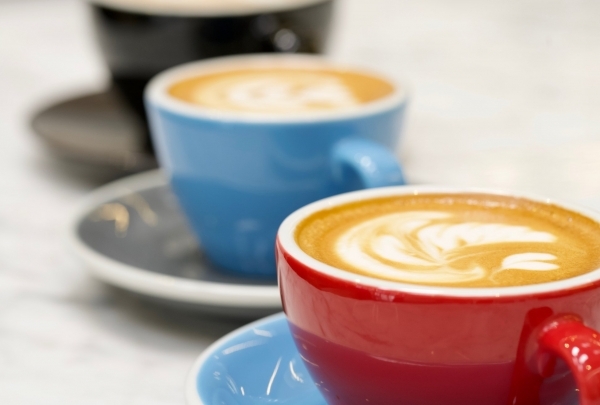 Coffee is culture in a cup and the Espresso Lab baristas know exactly how to serve it! 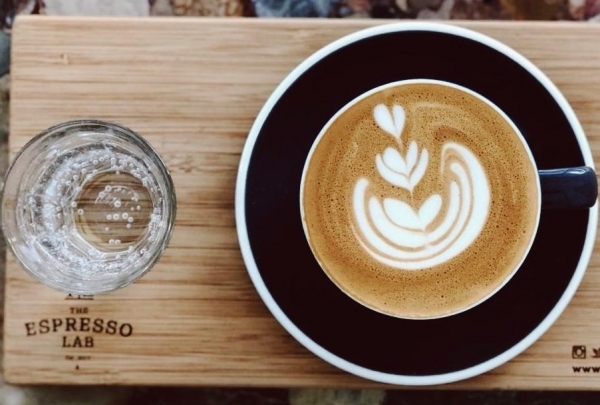 Located in the trendy neighborhood D3, the venue offers not only crafted coffee, but also homemade bakery items! If you like experiencing and experimenting, put your safety goggles on and go brew some specialty coffee! Join Poppy by David Myers for mellow vibes with a drink in hand at 7pm every Monday, and carry on with She is Poppy ladies night!